There are virtually no dedicated publications on Tatham but the following all contain details of specific aspects of its history. Addy, J., Death, Money and the Vultures: Inheritance and avarice 1660-1750 (Routledge 1992). Examples of disputed wills – includes some Tatham folk. Chippindall, Col. W.H.A., Sixteenth-Century Survey and Year’s Account of the Estates of Hornby Castle, Lancashire. (Chetham Society, 1939). Includes Tatham, Wray & Botton. Ekwall, Eilert, Ph.D., The Place-Names of Lancashire (Manchester University Press, 1922). 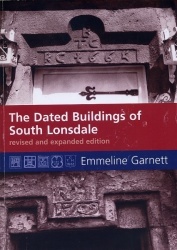 Contains the sources for and meanings of the earliest place-names in Tatham and other Lancashire townships. Graystone, P., Walking Roman Roads in Bowland (CNWRS, University of Lancaster, 1992). Includes the Ribchester-Burrow road through Tatham. Hudson, Phillip J., Coal mining in Lunesdale (Hudson History, Procter House, Kirkgate, Settle, 1998). Chapter 8 deals with the Hornby Estate’s mines in Tatham; chapter 9 with Wray. Hudson, Phillip J., Take a Closer Look at Wenningdale Mills (Hudson History, Procter House, Kirkgate, Settle, no date). Includes mills at Hornby, Wennington, Clintsfield and Robert Hall, Low & High Bentham. Kelly, Michael, Geology of the Lune and Upper Ribble Coalfields (British Mining monograph 85, Northern Mine Research Society, Nelson, Lancashire,2008). Contains details of geology and coal deposits in Tatham area. Kenyon, David, Wray and District Remembered: a photographic history of the life and times of a working village (David Kenyon, Kenmoor, Wray, 2008). Profusely illustrated book with details of work and people. Contains several photos from Tatham. Lofthouse, Jessica, Lancashire's Fair Face: Discoveries Ribble to Lune (Robert Hale, London, 1952; second edition with updates 1976). A chapter includes impressions of life in Hindburndale and Roeburndale in the late 1940s, and of the impact on it of the Haweswater pipeline construction. Lofthouse, Jessica, Countrygoer’s North (Robert Hale, London 1965). Includes Lune Valley and mentions Tatham and Wray. Macfarlane, Alan, The Justice and the Mare’s Ale (Blackwell, Oxford, 1981). A ‘black gang’ who terrorised the Lune Valley in the late 17th century. Several Tatham families and residences mentioned as centres of ‘coin clipping’. Nightingale, Rev. B., M.A., Litt.D., Early Stages of the Quaker Movement in Lancashire (Congregational Union of England and Wales, London, 1921). Includes several reference to persecution of Quakers of Tatham and other Lancashire parishes. Osborne, Bronwen, This Remote School: the old school at Tatham Fells, 1875-1961 portrayed from its log books (published privately, no date, second impression 2010). Extensive reproduction of original documents with commentary. Click here for further information. Pevsner, Nikolaus North Lancashire (Penguin, 1969, buildings of England series), pp. 245-46, revised and extended by Clare Hartwell, Lancashire North (Yale University Press, 2009), pp. 664-66. Mainly about the churches but also entries on Blands and Robert Hall. 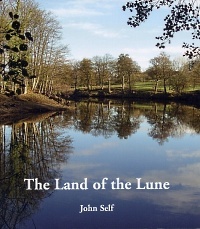 Self, John, The Land of the Lune: a guide to the region within the Lune watershed (Drakker Press , 20 Moorside Road, Brookhouse, Lancaster, LA2 9PJ). Chapter 11 ‘Wenningdale, Hindburndale and Roeburndale’. Profusely illustrated and very readable guide. Winstanley, Michael (ed. ), Rural Industries of the Lune Valley (Centre for North West Regional Studies, Lancaster University, 2000). Chapters by Hudson, ‘Quarrying and extractive industries’ and ‘Mining the Lonesdale coals). Chapters by Workman and Garnett explore hatting and basket making in Wray. Winstanley, Michael, A Traditional Grocer: T.D. 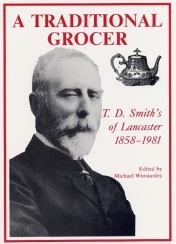 Smith's of Lancaster, 1858-1981 (Centre for North West Regional Studies, Lancaster University, 1991). Chapter 1 deals with Smith’s early family life in Botton and, particularly, Mealbank, Lower Tatham. Woodall, Sara, Voices from a Trunk, The Lost Lives of the Quaker Eddisons, 1805-1867 (Blackthorn Press, 2014). Includes material on later generations of a family with the surname Tatham - John and Grace Tatham who hailed from the parish. The Tatham family pedigree can be viewed on this website. Goth, Michael, ‘Taking a look at the myths and legends of Blands Farm, Wennington’, Contrebis*, vol. 26, 2001-02, pp. 41-47. Goth, Michael, ‘The Mill at Millhouses, Wray’, Contrebis*, vol.28, 2003-04, pp. 20-22. Higham, M., ‘The Medieval Borough of Hornby’, Lancashire Local Historian, No 7 (1992). Holmes, David, ‘The Burrows of Blands’, Lancashire History Quarterly, vol. 1, no. 2 (1997), pp. 81-87. Howard-Davis, C., 'Alleged earthwork opposite Tatham Hall Farm' in 'Lancaster Sites and Monuments Register and its Computerisation', Contrebis*, vol 2 (1983-4), pp. 21-23. Hudson, P. J. ‘Coal seams and mine workings below Moorhead and Meggs Farm’, Contrebis*, vol. 26, pp. 38-40. A discovery made after the publication of his book on coal mining in the district. Woodworth, Philip L., 'Three Georges and one Richard Holden: the Liverpool tide table makers', Historic Society of Lancashire and Cheshire, vol. 151, 2002, pp. 19-52. The story of how George Holden, the curate of Tatham in the late 18th century, and later members of his family, calculated and published the annual tide tables for major port of Liverpool. Also available online in two files. Click for HSLC article and further personal details of the family. * Contrebis: a bulletin of archaeology and local history for Lancashire and the North West, published by Lancaster Archaeological and Historical Society. A Year in the Fells A slide show with music of a year (1982) in Tatham Fells. Now a VHS video and DVD. Click here for further information. Directories summarise characteristics of parishes and gives names and dwelling place of gentry, clergy, teachers and "commercial" persons, usually including farmers. Beware that the data could be several years out of date by publication. Baines, Edward, History, Directory, and Gazetteer of the County Palatine of Lancaster (Wales & Co., 1824), Vol II. Gives population but excludes farmers for Tatham. Baines, Edward, History, Directory, and Gazetteer of the County Palatine of Lancaster (Fisher & Son, London, 1836), Vol II. Bulmer, T., History, Topography and Directory of Lancaster & District (Bulmer & Co., 1912). Contains separate historical descriptions of each parish and township and names and addresses of principal inhabitants within a range of about 16 miles. Kelly’s Directory of Lancashire. Editions published in 1898, 1901, 1905, 1913, 1918, 1924. Holt, Jennifer: The Registers of Melling in Lonsdale 1720-1850 (Lancashire Parish Register Society vol. 172, 2010), 404 pp. Some LPRS parish register data is published on CD, and is available on-line from the Parish Chest and from GENfair (search using the name in the first column). Tatham Fells Marriages 1746-1754, Baptisms & Burials 1745-1837. Noble, A.J., and Hayes, J. S. (eds), The 1757 Militia Ballot List for South Lonsdale (Lancaster City Museums, 1997). Tatham men listed pp.39-41. Carr, Joseph (edited by Peter Marshall), Bygone Bentham (Landy Publishing, 3 Staining Rise, Staining, Blackpool, 1997). Based on newspaper articles written in the late 19th century. Garnett, Emmeline and Green-Hughes, M., The Dated Buildings of Bentham (North Craven Heritage Trust, 2000). Hudson, R., Take a Closer Look at Bentham Boundaries (Hudson History, Settle, no date). Johnson, David, A Century of Bentham (Landy Publishing, 1998). A photographic survey. Johnson, David, Bentham as it Were (Landy Publishing, 2007). Pafford, E.R. & J.H.P., Employer and Employed: Ford, Ayrton & Co. Ltd. Silk Spinners, (Pasold Research Fund, 1974). History of worker participation in mills in Leeds and Low Bentham 1870-1970. Smith, A.H., The Place-Names of the West Riding of Yorkshire, Part Six (Cambridge University Press, 1961). Includes Bentham, Burton-in-Lonsdale, etc. Speight, Harry, The Craven and North-West Yorkshire Highlands (Smith, Settle, 1892, reprinted 1989). Brears, P., North Country Folk Art (John Donald, 1989). Includes pottery from Burton-in-Lonsdale. Humphries, Muriel (edited by John Wilson), Quarries, Coal, Clay and Cloth: Nineteenth-century industry in the Wenning and Great Valleys (Ewecross Historical Society, 2003, printed by Hudson History Settle). The Parish Register of Thornton-in-Lonsdale 1576-1812 (The Yorkshire Parish Register Society 1931) Includes Burton-in Lonsdale. 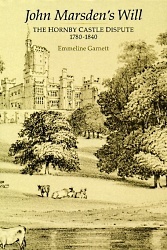 Garnett, Emmeline, John Marsden’s Will: the Hornby Castle dispute, 1780-1840 (Hambledon Press, London, 1998). Infamous court case about inheritance of the estate. Contains rich detail of people’s lives in the area, including people from Tatham. Garnett, Emmeline, The Wray Flood of 1967 (Centre for North West Regional Studies, Lancaster University, 2002). A flash flood which famously destroyed houses and buildings in the village. Garnett, Emmeline, Wray’s Famous Son: from village school to Law Society (Trustees of Wray School, no date). A biography of Bryan Holme, founder of the Law Society. Remington, J.S.A., Peep into the Past (Titus Wilson, 1935). A history of the Remington family, including Summersgill in Botton. Wray Endowed School: A Souvenir of the Tercentenary Celebration 1684-1984 (Trustees of Wray School).